Earlier this week we welcomed the beginning of the fall season! You may have already experienced the leaves changing colors and cooler temperatures, especially in the early mornings and evenings. Make sure your home is ready for the transition of seasons, both inside and out! We all love decorating our front porches with wreaths, pumpkins, and other fall decor, but what else should we be doing to prepare for the autumn weather? 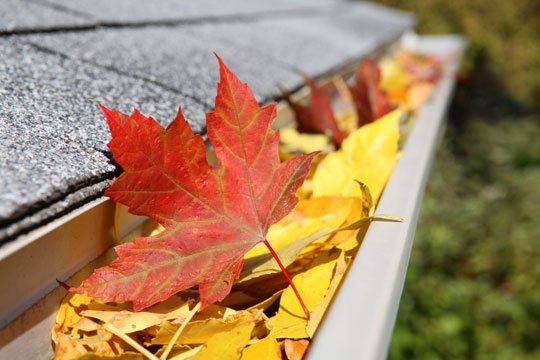 Look for missing or loose shingles; repair them before the first glimpse of ice and snow. Remove leaves by hand or with the assistance of a leaf blower or wet-dry vac. This task will likely need to be repeated when more leaves begin to fall throughout the season, but it is necessary to help keep water funneling away from your home. An inexpensive, yet effective, task: caulk around windows and door frames to prevent heat from escaping your home. Get your home the extra insulation and access to more natural light with a new storm door. As we approach colder-weathered days, you can expect to begin spending more time indoors; make sure your home is ready for heating season! Have a heating system check by a Logan Services service technician in the fall to ensure furnace safety and efficient operation. Inspect the insulation in your attic; adding more attic insulation can save you significantly on heating costs in the winter. Change the batteries in your smoke and carbon monoxide detectors. Make sure you have detectors on every level of your home. Clean or change your furnace filter monthly for the simplest way to maximize furnace efficiency. Is this finally the year to invest in a new heating system?